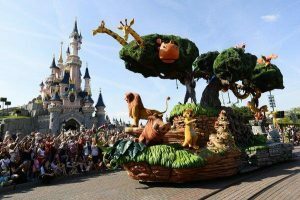 KENFOX IP & Law Office > News > “Hakuna Matata™” and Disney: Does their brand benefit from having trademark ? A trademark is a recognizable sign, design, or expression which identifies products or services of a particular source from those of others. A trademark is typically a name, word, phrase, logo, symbol, design, image, or a combination of these elements. The trademark owner can be an individual, business organization, or any legal entity. A trademark may be located on a package, a label, a voucher, or on the product itself. For the sake of corporate identity, trademarks are often displayed on company buildings. Per Article 4.16 of the Vietnam IP Law in 2005: Mark means any sign used to distinguish goods or services of different organizations or individuals. LONDON — Who wouldn’t like a highly anticipated remake of Disney’s “The Lion King,” starring Beyoncé and featuring a meerkat-and-warthog duo singing a song that includes the now ubiquitous Swahili phrase “Hakuna Matata”? As of Thursday, almost 150,000 people, and counting. The phrase means “no worries,” but for Disney, it’s not that simple. Angry about cultural appropriation, tens of thousands of people had signed an online petition that called on the company to drop its trademark of the phrase, which the company filed when the first version of the movie was released more than two decades ago. “The term ‘Hakuna Matata’ is not a Disney creation, hence not an infringement on intellectual or creative property, but an assault on the Swahili people and Africa as a whole,” the petition reads. “Hakuna Matata” is a common expression in Swahili, a language spoken in a large part of Africa, and it became popular in the West after the original version of “The Lion King” was released in 1994. Trademark experts said the issue had been blown out of proportion by confusion over intellectual property rights and what the trademark actually entails. To further muddle the issue, at least two other American firms, a wedding business and a vitamin company, have trademarked Hakuna Matata. And Disney’s trademark does not stop people from printing the phrase on random clothing, as long as there is no connection to the movie or Disney. In reality, Disney’s trademark has not stopped the pirating of its intellectual property. Markets across Africa sell unauthorized T-shirts with scenes and characters from “The Lion King” printed on them. But the petition, originated by Shelton Mpala, an activist in Zimbabwe, argued against the trademark in broader terms. “The decision to trademark ‘Hakuna Matata’ is predicated purely on greed and is an insult not only to the spirit of the Swahili people but also Africa as a whole,” it said. Trademark experts said the talk of colonialism and robbery was overwrought, and that the trademarking of phrases, particularly those from other languages, is commonplace.